Because of the classic British winter weather we've been having lately, we’ve been living in our Mila dungarees. I love how Sophia spiced up her dungas with some cute iron-on patches - such a simple way to customise your clothes. We’re definitely stealing this idea! And jus look at these bright and bold Milas made by Ari - there's no such thing as too much colour in my eyes. As you may have noticed on our Insta Stories, our team is obsessed with the Nora top pattern. Mainly because it’s very comfy and oh so versatile. 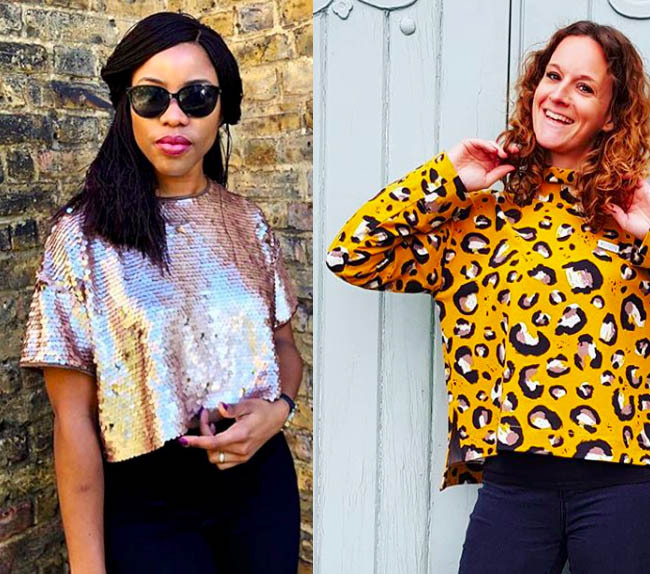 Juliet made a glamorous version in a shiny sequin fabric - we can't get enough of this! 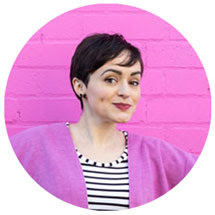 Did you spot her on the Sewing Bee last night? So exciting! And animal print fabrics are all over the high street at the moment - Mel’s Nora is very on-trend. 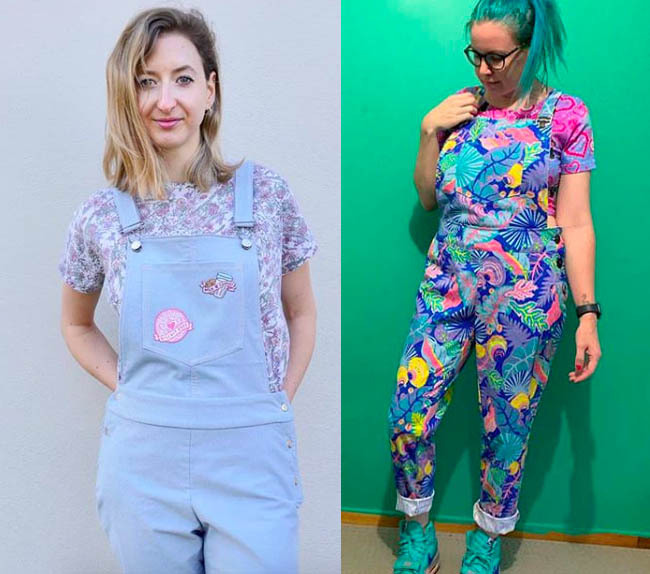 Just have a look at these two beautiful makes for all the inspiration to make some delicate pyjamas! We love the stylish look of O Petit B’s black PJ’s with lace edges. Such perfect chic loungewear. Oh là là. 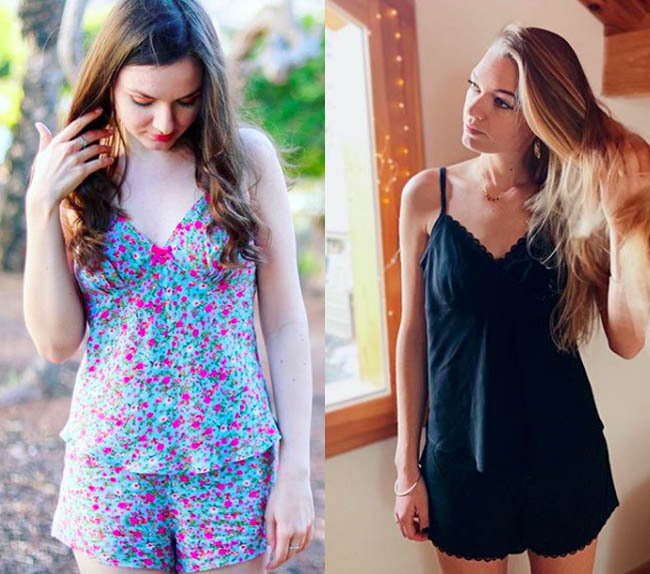 Anna Jay looks gorgeous in her beautiful floral Fifi pyjamas set and look at the little bow. 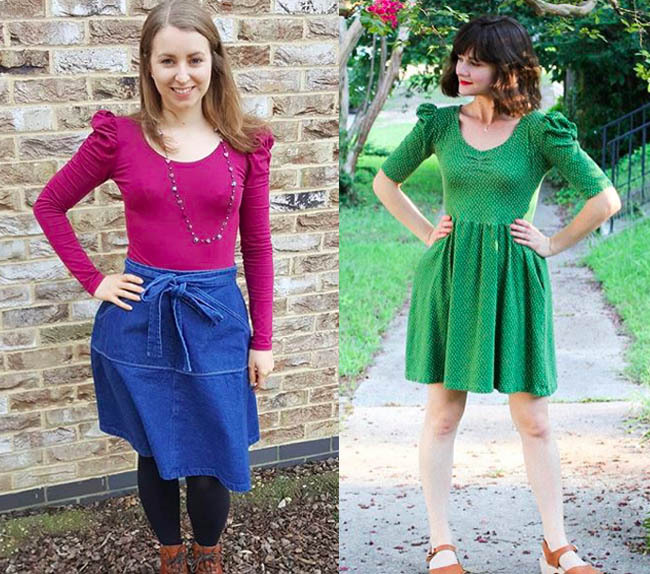 We love to see you use our Agnes top pattern in many different ways and styles. 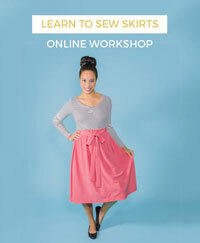 @pearstitched made a bright and simple Agnes which will go perfectly with lots of skirts, like our Miette of course! This green polka dot Agnes by Meredith is a beautiful example of our Agnes dress hack. This is the kind of garment you can throw on for instant comfort and style. 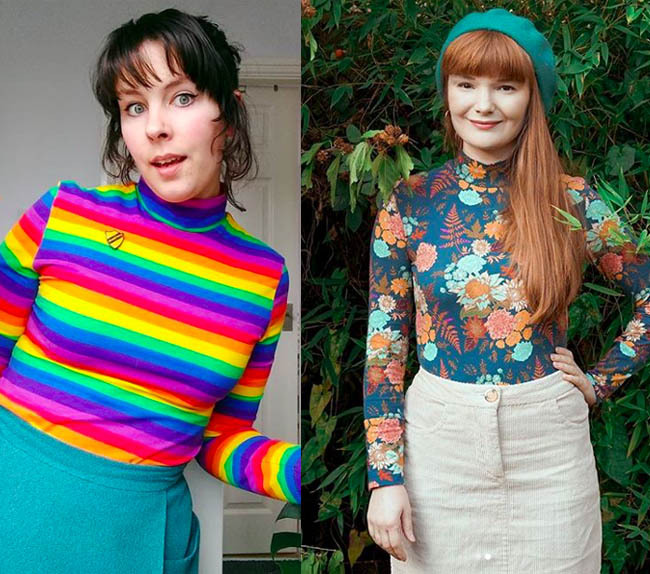 This winter you guys are making all the Freyas (pattern from our book Stretch!) and we can't get enough! This bright stripy Freya by Vicky looks like the perfect roll neck to brighten up any day. And look at this gorgeous autumnal Freya by Rosabella – totally rocking this outfit. It’s a perfect combo with our Ness skirt. Your Ness skirts have been totally killing it. 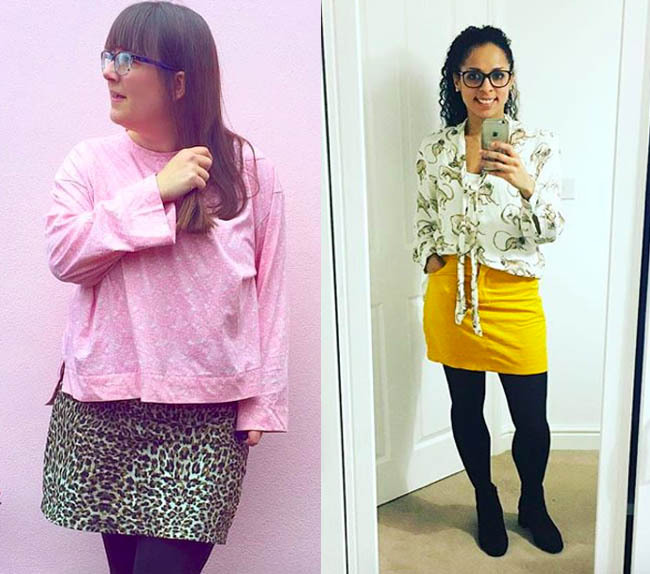 This awesome leopard print Ness by Georgina – such a cool combo with a pink Nora! 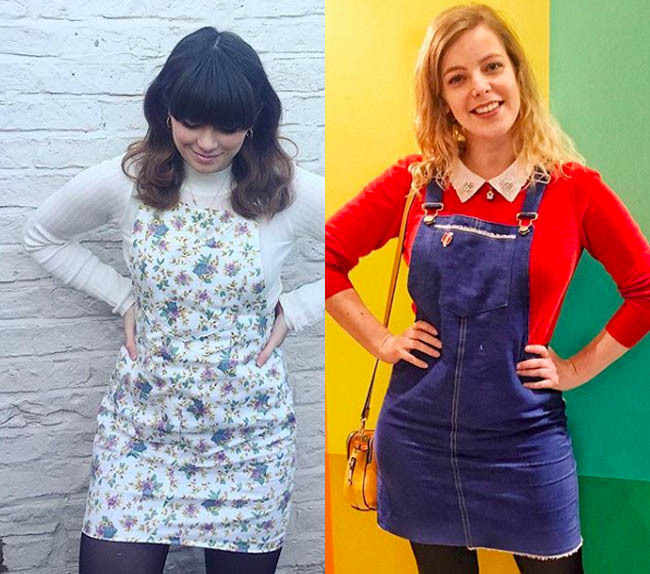 We’re all about the mustard too and Becca has totally nailed her Ness. We think velvet is always a good fabric choice, but especially for the Joni (pattern from our book Stretch! ), just check out Elisa’s fab version. And Jade shows the Joni dress works perfectly with a botanical print too. Just so cute! Lastly, getting us dreaming of summer vibes, here are a couple of your stunning Seren dresses. Ashleigh made a Seren in a classic lightweight denim fabric, which works so well for an effortlessly chic look. 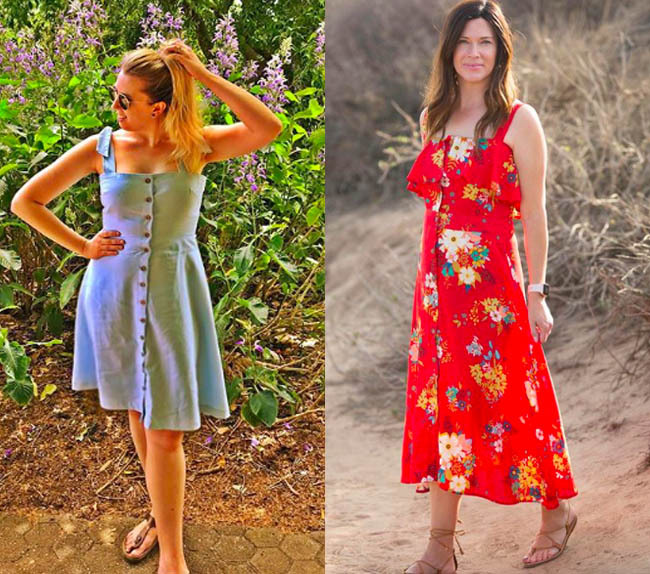 This elegant red floral Seren by @myysweetsunshine is making us want to rush out and start sewing ALL the sun dresses. Thanks so much to everyone who has shared their creations with us - they always get us feeling inspired. 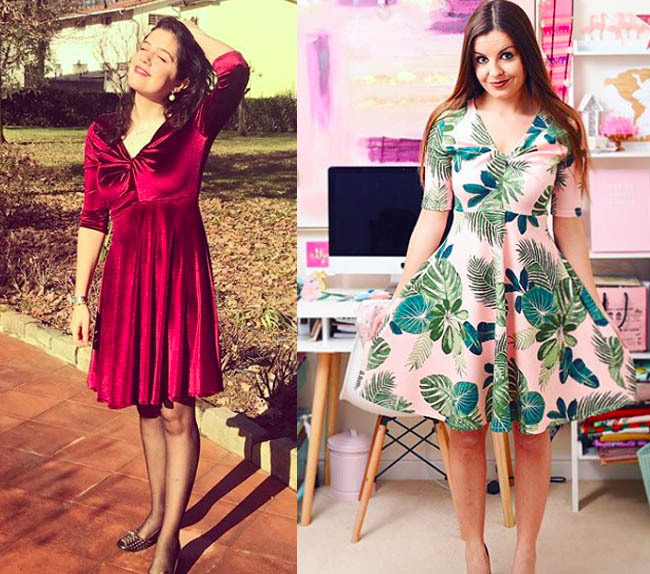 Share them with us @tillybuttons on Instagram and use the hashtags such as #SewingNora and #SewingCleo so everyone can see and like them.